Hello guys! Renewme had a collaboration with Shennyyang from Singapore. She had a Mini-liposuction at renewme skin clinic. We also gave her our NEW cosmetics like Triple Water Hydrogel Mask pack, Sun block, and Moisurizer after treatment. Also, she left our review of cosmetics. She got really many cosmetics from other branch like Etude, faceshop, clio etc.She also put RENEWME NEW Triple water mask pack on her photo. 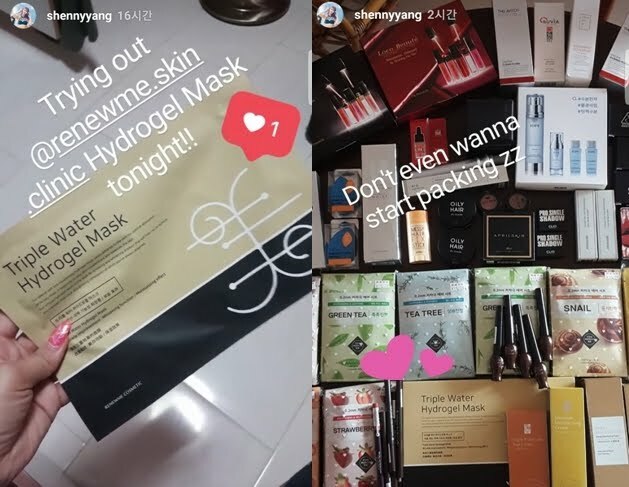 She also upload her instagram after trying out the mask pack. She said that she really liked the mask pack for moisturizing and also it's really jellish to put it on the face. It's really more comfortable and smoothen than other maskpacks. 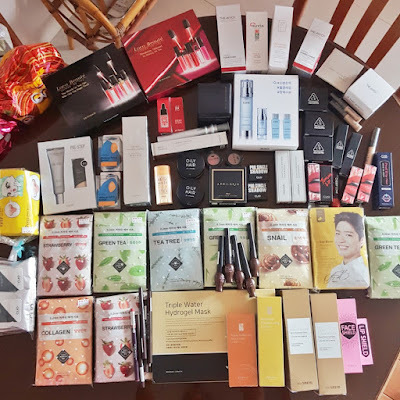 She posted her blog about our cosmetics from Renewme here. 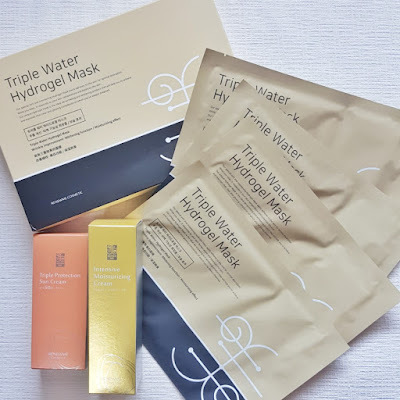 Triple Water Hydrogel Masks, Sun protection cream and Intensive Moisturizing cream! Renewme & care at Home. 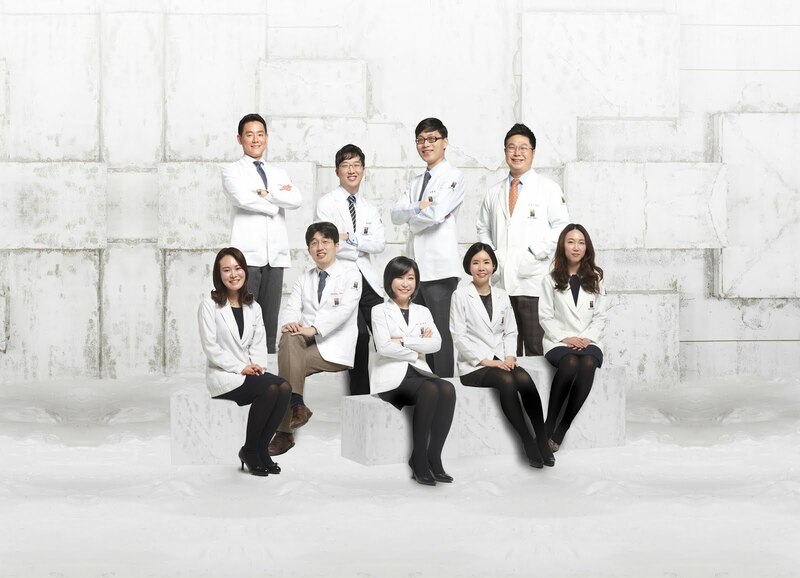 We also recommend Home care from Moisturizing, hydrogel mask. If you want to have hydrogel mask, you also can get it for free! Upload feedback on SNS and GET FOR FREE! Don't miss the chance the event at RENEWME!